We listen to your needs and construct your customised packaging line. Together we will find the optimum setup. We are creative and resourceful; we always find a suitable solution. We produce the different parts of your line in our professional production hall. 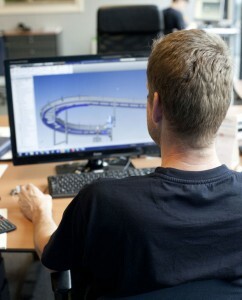 We involve experts for specialist components, such as a weighing scale and vibrating conveyor belt. We collaborate with several renowned partners. We assemble all the parts into a whole. We build your project in our hall. We test the line until it is fully functioning according to your specifications. We disassemble the packaging line and build it up again at any location. We ensure that the entire process line works perfectly, from the feeding, to the packaged product. At the end of the process, you need only ‘turn the key’. 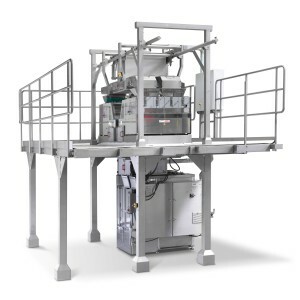 Your new packaging line is ready for use. 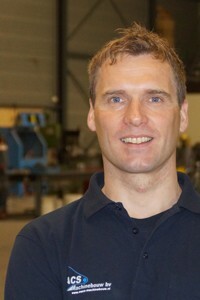 MACS machinebouw was founded in 2009 by Anton Michels. Anton has years of experience in manufacturing packaging lines for the food industry. He feels completely at home in his work and is involved in every project. His motto: “There is always a solution”. Do you want to know more? Please contact us or visit LinkedIn. Our professional team is involved in your process, your questions. 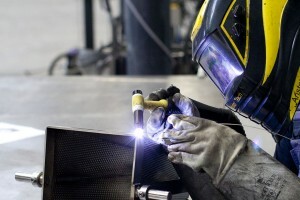 You can rely on our years of experience, expertise and ingenuity. Together we will find and realise the best solution. Are you curious about our team, our work methods or solutions? Please contact us, we will be happy to introduce ourselves.